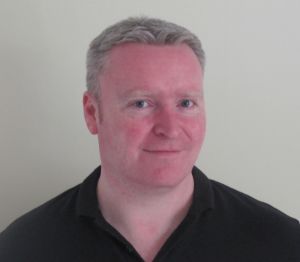 Declan is an experienced physiotherapist who has worked in private practice for over 15 years. Over this period, Declan has continued to develop his skills in order to achieve the optimal outcome for his patients. He is an accomplished musculoskeletal physiotherapist and Men’s Health physiotherapist as well as one of the only physiotherapists in Western Australia to be able to use ultrasound imaging to assess and diagnose musculoskeletal conditions such as bursitis, fractures and tendonopathies. Declan has been working in the area of real time ultrasound imaging for 17 years both as a clinician and educator. He has worked with elite athletes, special forces servicemen, and patients with chronic and complex pain syndromes alongside his regular general practice patients. He is extremely skilled in the assessment of musculoskeletal conditions but also provides services relating to men’s continence issues, prostatitis, erectile dysfunction and pelvic floor rehabilitation in relation to radical prostatectomy. As a keen cyclist, he has recently developed a bike fitting service to specifically address the needs of fellow cyclists. He graduated with Honours from Northumbria University in 1998 and went on to complete a Masters of Manual Therapy (Distinction) at the University of Western Australia in 2004. Following his post graduate degree he was invited to become a clinical supervisor and lecturer on the postgraduate Masters degree and was later made a Teaching Fellow at UWA in the field of motor control and biomechanics. Declan also runs courses for physiotherapists on the practical application of real time ultrasound imaginglocally in Australia and has been invited to lecture internationally. Declan has completed further training in the area of Men’s Health and colorectal health and is currently undertaking a post graduate qualification in nutrition. Karen has worked in the area of musculoskeletal and women’s health physiotherapy for the past 20 years. She graduated from Curtin University in 1994 with a Bachelor of Science (Physiotherapy), completed her Masters of Musculoskeletal Science at UWA in 2003 and completed a Postgraduate Certificate in Continence Promotion and Management as part of a Continence Foundation of Australia scholarship. 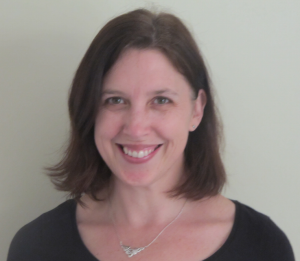 She has tutored students and lectured on the Master of Manual Therapy programme at UWA and her skill in the area was recognised in 2007 when she became a Teaching Fellow. Karen has worked in women’s health and musculoskeletal physiotherapy both in the private and public sectors. She runs courses for other physiotherapists on the use of real time ultrasound imaging for rehabilitation of musculoskeletal conditions and pelvic floor dysfunction, has consulted for various independent physiotherapy practices in the use of ultrasound imaging and has been invited on a number of occasions to present lectures for physiotherapists on the topics of motor control and real-time ultrasound imaging. She has also presented to physiotherapists, sports people and the general public on topics relating to a healthy pelvic floor and exercise. Karen’s other skills include acupuncture – both dry needling and Chinese acupuncture for pain relief – and Pilates mat classes.